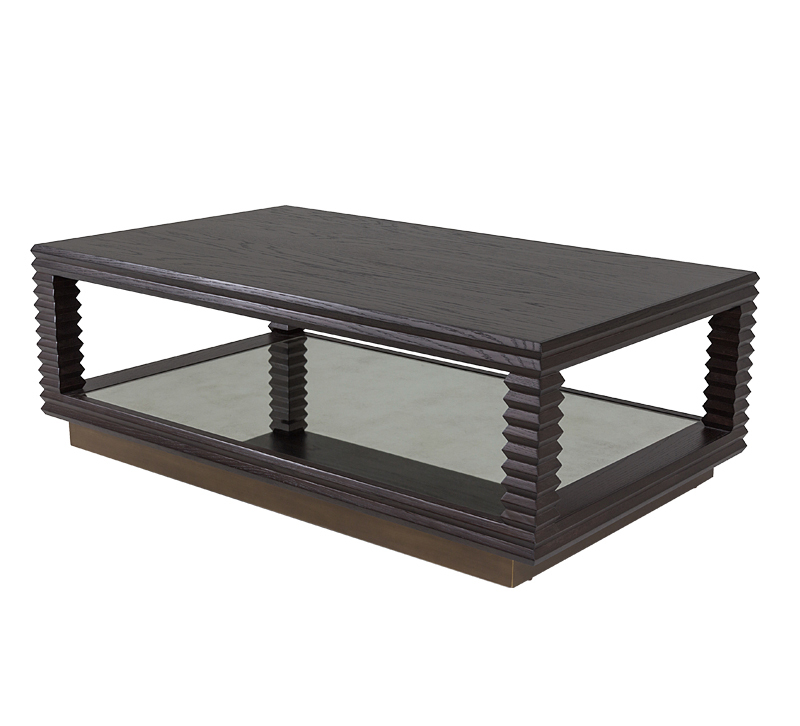 The Corsica coffee table from Mr. Brown London rests on an Aged Brass-finished base. The accordion-like carvings on the pillars add detail, while the Warm Dark Oak finish polishes off the look. Also available in White Smooth Gesso.